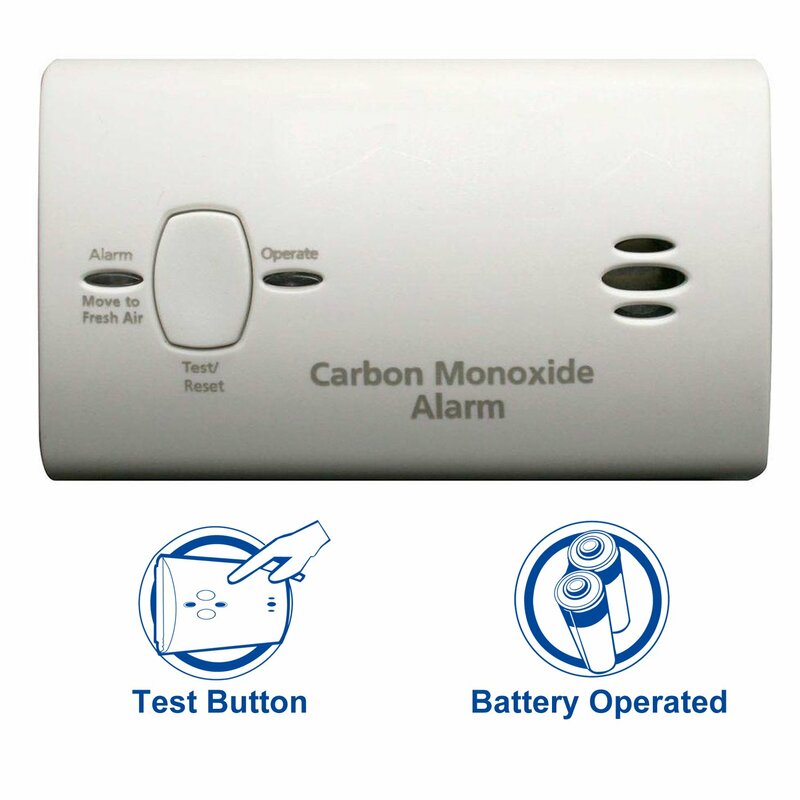 The Kidde Battery-Operated Carbon Monoxide Alarm is intended for continuous monitoring of carbon monoxide levels. The alarm features a piezoelectric horn that is rated at 85 dB at 10 ft. The alarm is battery operated for uninterrupted monitoring, even during power outages, and runs on 2 AA batteries, which are included.